Today, we are announcing a new campaign to save 240 acres of this remarkable Civil War battlefield – the opening effort of a larger campaign to save 455 battlefield acres in North Carolina. These 240 acres, in four different parcels, will bring the total saved by CWPT at Bentonville to 1,142 acres! Even better, CWPT has secured a tremendous matching that will double the giving power of every dollar you donate to this campaign. You can learn more (and donate) by checking out this web page here. The Civil War Preservation Trust has even put up a gallery of flags used by the soldiers (Gray and Blue) at the battle of Bentonville. You can check that out here. Part of the page includes the image of the flag of the 40th North Carolina Troops (I’ve never figured out how they got an Army of Tennessee flag – oh well, another blog post). I hope that you can help the CWPT with their goals. 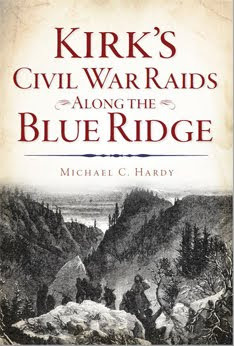 Part of the property they are trying to preserve was actually used by North Carolinians (like Hardy’s brigade) during the battle. There seems to be a lot of stir in the news media about a recent photograph of “slaves” found in an attic in Charlotte. 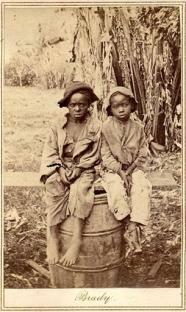 As the story goes, the photograph was made by famed photographer Matthew Brady of two slave boys in the early 1860s. I found 89 mentions of this article in various newspapers across the nation. Most of these are reprints of the Associated Press piece that you can read here. However, the purchase has come with some controversy. An additional article from the Associated Press states that “critics have located other similar images of the two children in ragged clothes on eBay and at a digital archive of the New York Public Library.” You can read this whole article here. The basic story about the discovery and subsequent dispute over the photograph’s provenance, is as follows. A collector named Keya Morgan recently purchased the album containing the photograph, found in an attic in North Carolina, for $30,000. He also purchased, at the same sale, for $20,000, a deed of sale for a slave named John, valued at $1,150 in 1854. The deed seems to have been represented to Morgan as the sale document for one of the boys in the photograph, but this link seems unlikely. The price is awfully high for an infant in that period, which is what either boy in the photograph would have been at the time of sale if the picture had been taken in the 1860s. Subsequent digging by the AP and others found what seems to be the original petition for the sale in the Digital Archive of Slavery, which suggests that the slave John, mentioned in the deed, was twenty-seven or twenty-eight in 1854. Want more? A piece by Kate Marcus, that was on Before It’s News (strangely, it has been removed), disproved much of the provenience of the piece. You can catch pieces of Marcus’s article in this article from USA Today. It does appears that New York collector Keya Morgan got taken for a sum of $50,000. Sure wish he would have sent the money to CWPT instead. Time again for what has turned into a bi-monthly look across North Carolina for headlines that deal with the Old North State and the War. 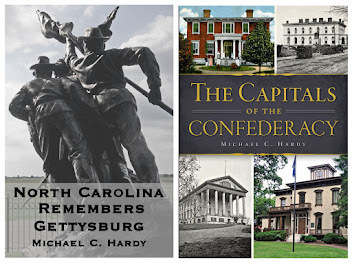 Recently, a new web page/blog was launched that focuses on North Eastern North Carolina and the Civil War – check it out here. Information regarding a soldier in the 51st North Carolina Troops, from Robeson County, can be found in the Sun News, which you can read here. There are several stories (I saw one on the news from Charlotte) about what is called the Juneteenth celebration. You can learn more here. Old Cross Creek Cemetery, in Fayetteville, home of the oldest Confederate monument in the state, was recently vandalized. You can learn more here. You can find some information here on a new exhibit at the North Carolina Museum of History on people of Jewish descendent here in North Carolina. I’ve not seen the exhibit, but there are some mentions of Tar Heel Confederates in the article. 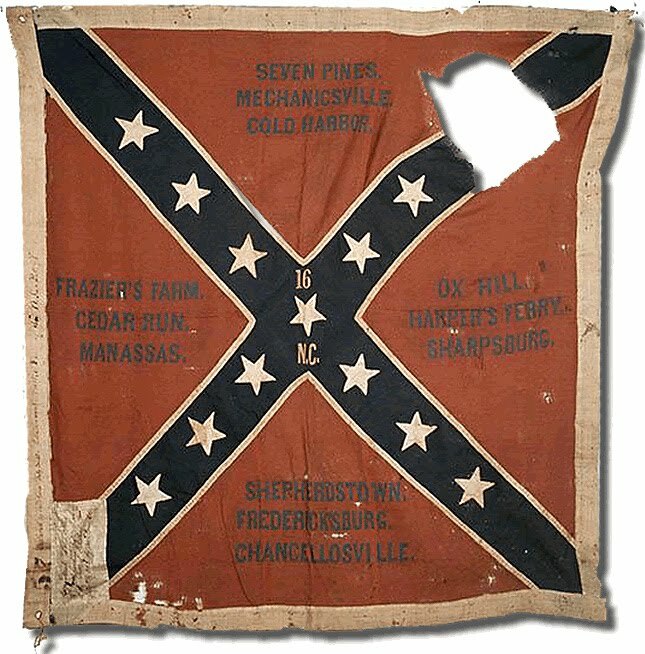 There are a couple of mentions of Civil War related sites in this post, about the Wilmington area. Lately, I’ve been exploring the topic of war-time politicians from North Carolina. Probably not surprising is the lack of biographical material on these leaders of the Old North State. What I want to do is to create a list and see if I am missing anything (or anybody). (1897) Dowd – Life of Zebulon B. Vance. (1937) Yates - Zebulon B. Vance as War Governor of North Carolina, 1862-1865. (1958) Yates – The Confederacy and Zeb Vance. (1961) Camp – Governor Vance: A Life for Young People. (1963) Shirley – Zebulon Vance, Tar Heel Spokesman. (1966) Tucker - Zeb Vance: champion of Personal Freedom. (1980) Szittya – Man to Match the Mountains: the Childhood of Zebulon Baird Vance. (1985) Cooper – Zeb Vance: a Leader in War and Peace. (1971) Vance – My Beloved Zebulon: the Correspondence of Zebulon Baird Vance and Harriett N. Espy. (2004) McKinney – Zeb Vance, North Carolina’s Civil War Governor and Gilded Age Political Leader. (2005) Mobley – “War Governor of the South” : North Carolina’s Zeb Vance and the Confederacy. And then there are two volumes of letters covering through 1863, one dissertation (Shirley 1959), and one bachelor’s thesis (Centon 1912). I must admit that I do not own all of these – and I am confused by the Adler (1941) and Weinstein (1995) titles of the same name. Maybe someone who has seen both can help. But I do own the majority. I think Zeb is pretty well covered, historiography speaking. Let me also propose this question: has any other War-time governor been the subject of more books? I could only find five books on Georgia’s Joe Brown; I found no biographies on Florida’s John Milton, nor on Alabama’s John G. Shorter. Do I need to look further? Moving on. What about North Carolina’s other war-time governors? John G. Ellis has no biography. Henry Toole Clark has one, and recently published (2009). North Carolina’s post-war governor, William Woods Holden, has one (1987). Then of course, there is Edward Stanly. He is North Carolina’s other war-time governor, appointed by Lincoln, who did not serve a full year. Stanly was the subject of a biography released in 1974. To my knowledge, the only other Tar Heel to receive a book-length biographical study is Thomas L. Clingman, in a book by Thomas E. Jeffrey released by the University of Georgia Press in 1998. Of course, Clingman is not really a war-time politician. He did serve as a US Senator prior to the war, and largely North Carolina’s equivalent of Rhett or Yancey or Yulee. Clingman became a Confederate general. So there is my list. 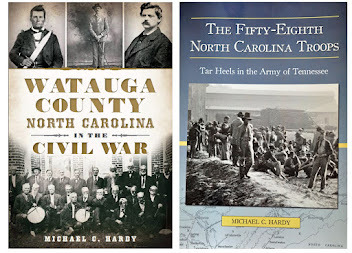 Anyone know of any more book-length treatments of North Carolina Civil War politicians? There need to be more. William W. Avery, who helped spilt the Democratic party, needs a biography. So does James T. Leach, a Confederate Congressman who advocated peace and largely led North Carolina’s Peace Party. How about our other Confederate leaders in the senate: George Davis, William T. Dortch, Edwin G. Reade, or William A. Graham? At the end of the war, Davis was serving as the Confederate Attorney General. And I don’t think any of the members of the House have a biography. Well, there is my overview. What do you think? What have I missed? DURHAM – More than 625,000 lives were lost in the Civil War, more than half due to sickness, not combat. Diseases were spread through infested military camps, and dysentery, typhoid, apoplexy, gangrene, and other horrible illnesses took the lives of fighters from both sides. Bennett Place State Historic Site will recreate a Confederate field hospital on June 26-27, to share the experience of the surgeon, nurses and stewards who worked to save lives. Medical demonstrations will show the removal of a bullet and amputation procedures. The Saturday schedule is 10 a.m.-4p.m. ; Sunday is 10 a.m.-3 p.m. Admission is free, and donations are accepted. A Confederate postmaster will display the always important mail system. Visitors also can tour the Visitor Center and gallery to view the newly commissioned painting The First Meeting by Dan Nance. An exclusive exhibit of Bennett family personal effects will be displayed through Sept. 15. The Dawn of Peace will be shown in the auditorium on the half hour. Civil War and Bennett Place souvenirs and collectibles sold in the gift shop help support preservation of Bennett Place State Historic Site. The farm of James and Nancy Bennett became site of negotiations of the largest surrender of the Civil War when Confederate Gen. Joseph E. Johnston surrendered the armies of the Carolinas, Florida and Georgia to Union Gen. William T. Sherman. The mission of Bennett Place State Historic Site is to preserve and interpret the largest Civil War surrender and the lives of 19th-century yeomen farmers such as the Bennetts. Bennett Place is located in western Durham at 4409 Bennett Memorial Road , Durham , NC 27705 . For more info rmation call (919) 383-4345, e-mail Bennett@ncdcr.gov, or visit www.bennettplace.nchistoricsites.org. Administered by the Division of State Historic Sites, Bennett Place is part of the N.C. Department of Cultural Resources, the state agency with the mission to enrich lives and communities, and the vision to harness the state’s cultural resources to build North Carolina ’s social, cultural and economic future. Information on Cultural Resources is available 24/7 at www.ncculture.com. Home again – I had a great time visiting with the Central Ohio Civil War Round Table and especially with Mike Peters. If you live in the area, you should really consider joining. I was honored to be one of their guests, and their folks were really great, asking loads of super questions. 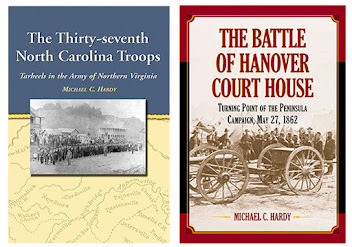 My talk was on the battle of Hanover Court House (have I done this program for your group?). One of the members of the COCWRT raised this question: Virginia has the Virginia Military Academy, and South Carolina has the Citadel. What did North Carolina have? The answer would be the North Carolina Military Institute. The school was founded in 1858 by local Charlotte businessmen and Dr. Charles J. Fox. The school was located in Charlotte. This school is not to be confused with the North Carolina Military Academy (also called the North Carolina Military and Polytechnic Academy or the Hillsborough Military Academy) founded in 1858 in Hillsborough by Charles C. Tew. We don’t know a great deal about the school itself, except it was very popular. By April 1861, the school had 150 students. Not long after the start of the war, Governor Ellis ordered the cadets to Raleigh to serve as drill masters. The school closed during the war, and at times, the buildings were used as a Confederate hospital. The building stood at East Morehead and South Boulevard. West Point-trained-Daniel Harvey Hill was serving as superintendent of the school at the start of the war. He was elected colonel of the 1st North Carolina Volunteers and, later in the war, briefly attained the rank of lieutenant general. Hill survived the war. South Carolina-born and also West Point-trained Charles C. Lee was also teaching at the school at the start of the war. Lee was lieutenant colonel of the 1st North Carolina Volunteers (and later colonel after Hill’s promotion). Later, Lee served as colonel of the 37th North Carolina Troops. He was killed at Frayser’s Farm and is interred in Charlotte. VMI-educated James H. Lane was also teaching at the North Carolina Military Institute. Lane, a Virginia native, was elected major, and then lieutenant colonel of the 1st North Carolina Volunteers before being elected colonel of the 28th North Carolina Troops. There are probably a lot of other company and regimental level officers in North Carolina regiments who attended the institute, but to find them would probably require several days of searching. Anyone know of any more from your own research? As at first organized, the session lasted, without intermission, throughout the year, the months of August and September being spent campaigning in the mountains of North Carolina. At the end of the second year cadets received a furlough of months. There were a scientific and a primary department. In the former the West Point curriculum was closely followed, and the students were required to board in the buildings and to be under military discipline. There was a primary department, which aimed to prepare students for any college. Such of these students as boarded in the buildings were likewise under military discipline. The institute provide board, lodging, fuel, lights, washing, arms, equipment, medical attendance, uniforms and all clothing, except underclothes, for $200 per annum. No extra charges. After the war, there was talk of D. H. Hill (along with Wade Hampton), re-opening the Military School, but nothing became of Hill’s proposals. Later, the building was used as a girl’s school, and from 1873 until 1882, as the Charlotte Military Academy. Later, it was used by the Charlotte Public School system, until it was torn down in 1954. 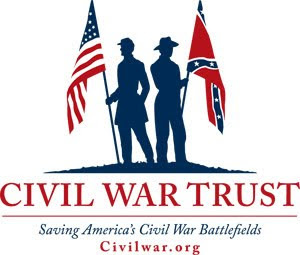 Just a few quick notes – I’ll be speaking tomorrow (Wednesday, June 9) at the monthly meeting of the Central Ohio Civil War Round Table in Columbus, Ohio. You can learn more here. Eric Lindblade announced yesterday that his study of the Battle of Newport Barracks, North Carolina, will be available later this month. You can follow progress on the book’s facebook page. 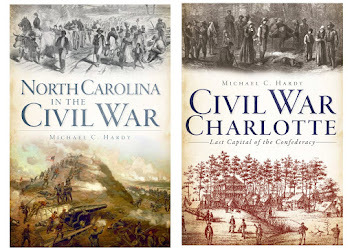 The title of the book is ­Fight as Long as Possible: The Battle of Newport Barracks, North Carolina, February 2, 1864. John Fox has a new book out entitled The Confederate Alamo: Bloodbath at Petersburg’s Fort Gregg, April 2, 1865. You can see a video promo of the book here. 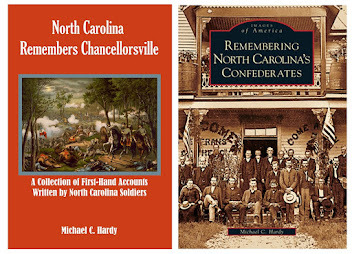 And, lastly, my book on the 58th North Carolina Troops should be available by the first of September 2010. I’m really looking forward to it. For the past few weeks, I’ve been researching memory and the War. Yes, I know, it’s been the topic of the academics for some time now, and I’ve written about memory in a few different projects in the past. Recently, I was reading an essay by Dr. James H. Madison entitled “Civil War Memories and ‘Pardenership Forgittin,’ 1865-1913”(Indiana Magazine of History, XCIX [September 2003]). Madison seems to be troubled that the monuments that the soldiers from Indiana erected after the war don’t pay homage to why academic historians think (and write) that soldiers fought. On a trip to Shiloh, “What I saw… was silence. I could find no Indiana monument to the bravery and sacrifice that had freed the slaves. There was only one sermon carved on those monuments: Indiana’s heroes had helped save the Union,” Madison writes. He, and probably a host of others, believe that there was some great conspiracy, with an effort aimed at reconciliation North and South, to take the emancipation of the slaves out of the pictures. Madison later continues with, “This way of remembering the war, conflating it with union and nation, requiring veterans to do some forgetting.” Well, I think that the reason that Indiana, and the nation, chose not to commemorate the emancipation of the slaves in its many monuments and memorials is, frankly, that it was not all that important to those who actually fought the war. Gary Gallagher brings this up in a recent piece in Civil War Times. He talks about four different interpretations of the war: the Emancipation Cause, the Lost Cause, the Reconciliation Cause, and the Union Cause. Gallagher writes that “the Union Cause is the least appreciated of the four great traditions. 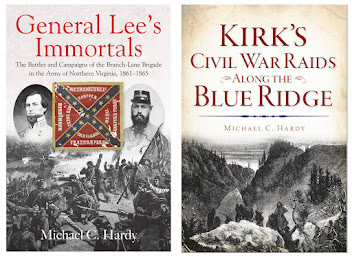 It is dismissed as unworthy, of great sacrifice by many historians and is virtually absent in the popular understanding of the war.” Gallagher goes on to remind us of Ken Burns’ PBS Series The Civil War­, and Dr. Barbara J. Field saying that the preservation of the Union was “A goal too shallow to be worth the sacrifice of a single life.” Yet in the grand scope of world history, just the opposite is true. Barbara J. Field was wrong. While the emancipation of the slaves was, of course, a good thing for the United States, it pales in comparison to the preservation of the Union as a cause. So, I guess my answer to Dr. Madison’s question, “what sermon those Hoosier veterans were preaching to me?” would be this: the emancipation of the slaves was just not all that important to the boys in blue, certainly not compared with keeping the United States intact. They fought to preserve the Union. If emancipation was what the soldiers themselves saw as paramount, would it not have appeared on their monuments? Our friends in the 26th North Carolina Troops Reactivated are hard at work on their next preservation project. They are currently raising funds to preserve the flag of the 16th North Carolina State Troops, a flag captured at Gettysburg. Visit this link to learn more and consider donating today. Let’s see what is going on around the Tar Heel state. The blog North Carolina Miscellany reports that Lewis Leary, a free-black man that hailed from Fayetteville and died fighting with John Brown at Harper’s Ferry, will be honor with a state historical marker. See the complete list here. A good description of North Carolina’s largest Memorial Day parade can be found here, in the Winston-Salem Journal. By the way, Thomasville is the site of the parade. Information about Alamance County’s inclusion on the North Carolina Civil War Trail map can be found here. The Charlotte Post has an article about efforts of people in Union County to have a monument placed on the courthouse grounds honoring black Confederates. You can read more here. There is a interesting post on John Everette Page, who fought in the 51st North Carolina, on this blog.